#MoviesMusicPlaysFilmFestivalsConcerts: Berlin 2015: Kidlat Tahimik's "Balikbayan #1..." wins Caligari Film Prize! 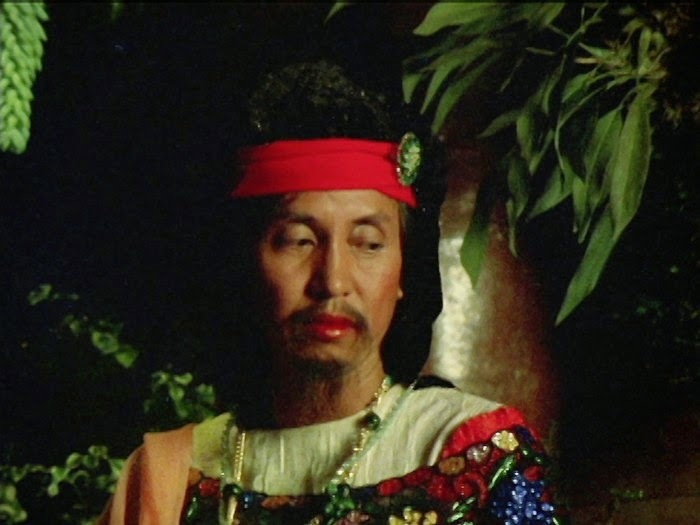 Berlin 2015: Kidlat Tahimik's "Balikbayan #1..." wins Caligari Film Prize! The Caligari Film Prize for a film in the Berlinale Forum goes to Kidlat Tahimik's "BALIKBAYAN #1 MEMORIES OF OVERDEVELOPMENT REDUX III!" Language is the key to the empire. Enrique is the slave of Ferdinand Magellan, who circumnavigated the globe. Aside from bathing Magellan every evening, Enrique also has to translate Filipino languages into Portuguese and Spanish. The film opens with a cardboard box containing film rolls being dug up from the ground. Shot in 1980 and now showing their age, the images tell the story of the circumnavigation. Magellan died shortly before the journey was completed, but had authorized that Enrique, now by default the first true circumnavigator, was to become a free man. Enrique carved his memories of the journey into wood, with the sculptures adorning his garden. Balikbayan #1 weaves together the official story with that of Enrique, as well as with the director’s cut of what Tahimik started filming 35 years ago in order to find out the truth and continued in a village in the province of Ifugao in 2013. The actors are no longer the same, and Tahimik, who himself played Enrique in 1980, has grown older, just as children have been born. Balikbayan #1 is a home movie, a flamboyant epic, a study of colonialism, a historical corrective and an homage to what Tahimik calls ‘Indio Genius’.